Home/Adhesives News/SIKA GETS STUCK IN! Sika has developed a range of entirely new soft flooring adhesives designed to work with a range of carpet, lino and vinyl flooring products. 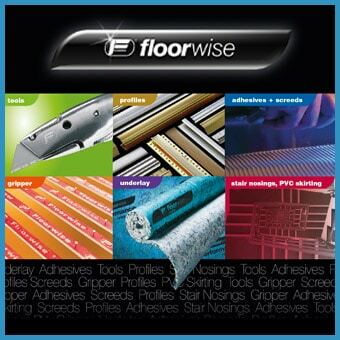 The new range comprises SikaBond Carpet-1, SikaBond Carpet-Uni, SikaBond Lino-1, SikaBond Vinyl-1 and SikaBond Floor-Uni products, all of which have been eveloped for use in a variety of applications and offer a solvent free one part adhesive solution. As the name suggests, SikaBond Carpet-1 and SikaBond Carpet-Uni products are designed for use on all carpet installations and between them, can ensure the bonding of most materials. Easy to apply on to the floor surface, both products offer a very strong initial grab coupled with high adhesion ensuring that once the carpet is laid, it will not ripple or move out of place, making it ideal for high traffic areas such as commercial buildings. Similarly, SikaBond Lino-1 ensures complete bonding of linoleum, while SikaBond Vinyl-1 ensures the bonding of all types of PVC / vinyl flooring. SikaBond Vinyl-1 is pressure sensitive, which ensures there is no movement from side to side. However, it can be lifted up and removed if needed. Finally, SikaBond Floor-Uni is a practical all in one product that combines the benefits of all four adhesives to provide a product that can be used with a wide range of carpet, lino and vinyl flooring materials. A tin of this product can easily be kept in the back of the van, keeping the professional flooring fitter ready for any eventuality that crops up in the day. All five products are easy to apply and are also compatible with underfloor heating systems. What’s more, the fitter can walk on the bonded floor surface immediately, allowing them to roll the covering up and down whilst being able to walk on the previous section, meaning the job can be completed very quickly. To ensure the controlled application of soft floor adhesives, Sika’s complementary trowel range is ideal. Available in different sizes to suit the job in question, the trowels come in A1 – notch size of 0.50mm, A2 – notch size of 1.30mm, B1 – notch size of 2.60mm and B2 – notch size of 2.00mm versions – these will assist and guide the flow of the substance being applied on the substrate. Products are currently available from a wide range of UK Distributors. Please contact Mick Hooper on 07970 122255 for more information.